Jacqueline Ross and Maggie Cole offer copiously researched, historically informed accounts of Franz Schubert's four contributions to the sonata for violin and keyboard, performed on period instruments and with due reference to autograph and other relevant source materials. 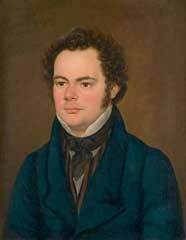 These youthful works have a Mozartian grace and lucidity, yet demonstrate the fertile melodic invention and subtle harmonic language of a composer who had a particular affinity with the human voice. 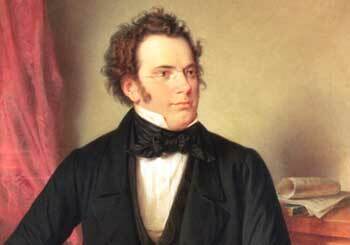 As Beethoven is reported to have remarked, 'Truly in Schubert there dwells a divine spark'. "In the A major Sonata, Ross brings a vocal expressiveness to the opening melody, and in the scherzo second movement, the players scamper and tussle with sparkling vigour and wit. There is an air of wonder to the Andantino before an ebullient finale. This is all fine playing with great musical teamwork." Invited by Bowers and Wilkins to record one of the first classical discs for their download series The Society of Sound, we were delighted to work with producer Nick Parker in the unique and inspiring setting of Real World Studios near Bath. We spent a happy and productive four days there and hope that you will enjoy the result. 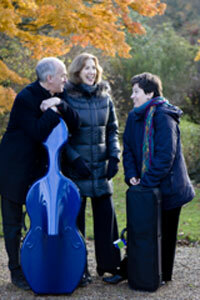 "Trio Goya achieve a perfect instrumental balance in sensitive performances." "These are major works of endless fascination, which demand and deserve superb performers. Fortunately Trio Goya are such musicians. Those yet to experience the treasures of Haydn's piano trios should immerse themselves in this very fine recording. Even avid collectors of the works will find much to surprise and delight them." "Having re-heard this disc on good earphones, I am inclined to assert that they are possibly the best Haydn piano trio performances on record."